While trying to come up with a topic for this week, I thought of my cats, who are most often found looking longingly at the desk I just booted them off of. (Otherwise they both try to type, and their command of the English language isn't great.) Which of course inspires this week's Best Book Ever topic: animals. Do you have a deep abiding love for Crookshanks, or for Shaggydog the direwolf, or perhaps the rats of NIMH? Do share! Check out our selections and let us know what you think in the comments. 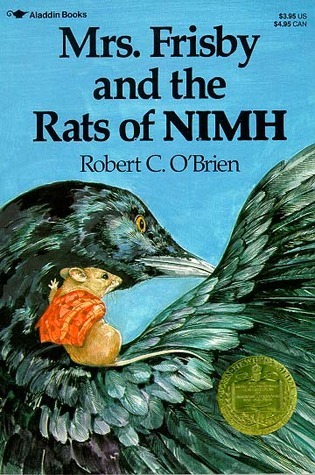 Mrs. Frisby and the Rats of NIMH is on my mind, perhaps because Mother's Day recently passed, and Mrs. Frisby's character is a shining example of pure maternal love, protection, and bravery in the face of danger. In order to avoid the deadly plow, the widowed mouse must relocate her four young children from the field to a new home, but her youngest child has pneumonia and cannot be moved. To solve the problem, Frisy confronts her fears and consults the owl (a terrifying prospect for any mouse!) who then leads her to the mysterious rats of NIMH. It's a wonderful story of honor and courage to revisit at any age! 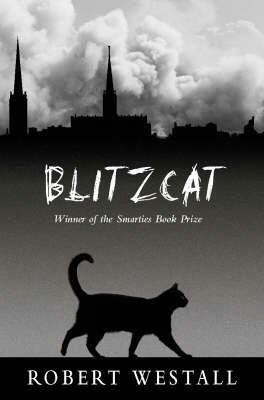 An awesome MG / YA read that I will never forget was BLITZCAT by Robert Westall. It was published right when I was on the verge of only wanting to read intense books that made me look older than I really was, and I was afraid this book might make me look a little juvenile. Boy, was I off base. BLITZCAT is about a black cat (considered good luck in Europe) who travels through war torn England during WWII to find her owner. Lord Gort is touched for luck wherever she goes, through countryside and cities to find her owner. It doesn't scrimp on the harder realities of wartime life, but also doesn't over indulge in the detail so that MG readers can stay connected. It's a wartime, European Incredible Journey, with a little black cat as an unlikely hero. 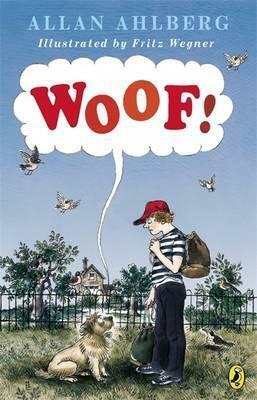 I wonder if anyone else has ever read — or even heard of — this one: Woof! by Allan Ahlberg. I had a bizarre love for this book when I was a kid, to the point where I kept my library copy far longer than is polite. In my memory, it feels like a classic children's book published in the 1950s or something, but that's probably because it was written by a British author; it was actually published in 1986, which means it was pretty new when I read it. What's it about? Well, it starts off with, "There was once a boy who turned into a dog. This doesn't happen every day. If it did, the world would soon be short of boys and overrun with dogs... ...The boy's name was Eric Banks; he was ten years old. The dog he turned into was a Norfolk terrier." Looking through the hardback copy I picked up many years later as an adult, it's entirely possible that I can trace my penchant for em-dashes and semicolons back to this book — so we can all thank Mr. Ahlberg for my writing style. I haven't reread Woof! in a long while, but I think what I loved best was the humorous writing, the way a fantastical idea was handled in completely realistic way, and the charming illustrations by Fritz Wegner. To people of a certain age the premise may seem similar to Disney's The Shaggy Dog films, but I always liked Woof! more, and it was different because it was set in England! In fact, I'm pretty sure this book is why I first tried fish and chips, and why I've always wanted to own a Norfolk terrier and prefer playing Monopoly with the dog token. Unfortunately, Woof! seems to be out of print in the U.S. but I recommend you sniff out a copy. This is a wonderful story where the adventure and character development is far more important than the explanation for why it happened... which probably is why I appreciate ambiguous endings so much. Or is it? As soon as I thought of this week's BBE topic, Charlotte's Web by E.B. White immediately popped in my head. It's a classic that will never disappear. Who doesn't love Charlotte and Wilber friendship. This will be a book that in 300 years will still be talked about and read to little children. But let's talk about a modern book as well that sticks out in my mind, I Am Number Four by Pittacus Lore. I LOVE LOVE LOVE Bernie Kosar, Bernie is John's protector. Their relationship really stuck with me. There are a few books that I would love to pick for this topic, but in honor of my very own little monkey- I am picking Curious George. 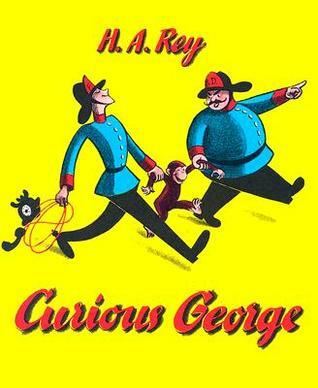 My son ADORES Curious George books and boy have they gotten him into trouble! We started reading the Curious George series when he turned 2. It only took a few days for his "inner monkey" to come out. He was climbing bookshelves, getting into things he shouldn't, and being a very naughty monkey. Although George isn't exactly the best role model for little kids, he IS adorable and a ton of fun. (Hmm sounds like my toddler... gets into a ton of trouble but is adorable doing it....) The ultimate toddler and preschool series- Curious George is a family favorite.